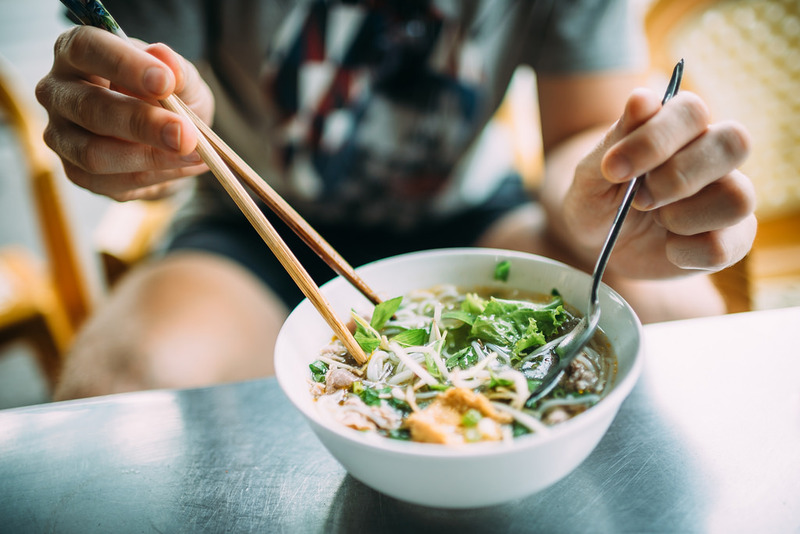 From roasted chicken to Khanom Krok to meat on stick, Chiang Mai is food heaven but there is one dish that can be declared as the National Dish of Thailand and you shouldn’t leave Chiang Mai without tasting this. The dish is “Khao Soi” or “Khao Soy”. Every house in Chiang Mai have their own variation and recipe of Khao Soi but the basic is all same – chicken meat is combined with boiled and fried noodles or rice. The dish is topped with boiled or fried egg. Khao Soi is rich, creamy, flavorful, and is a wholesome one pot dish. 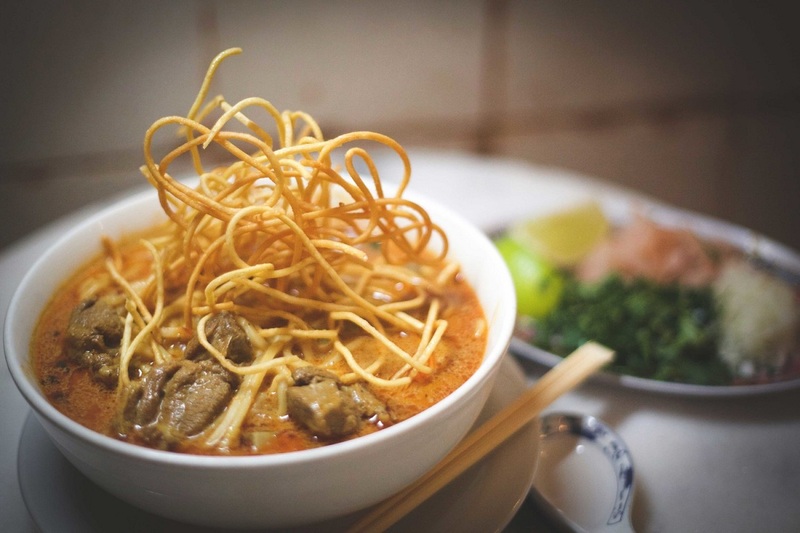 The broth is the main ingredient of Khao Soi. It is prepared with Massaman-like curry paste. This paste which is made from fresh turmeric, ginger, cilantro root, coriander seeds, cardamom, lime leaves, garlic, and lemongrass is usually made in stone mortar and pestle. 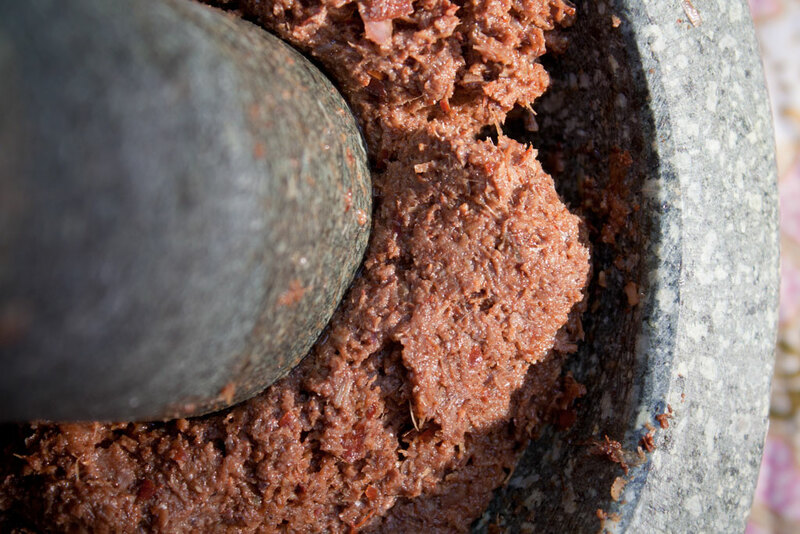 Good amount of fermented shrimp paste is added to this for a funkier taste. Chicken drumsticks are cooked in coconut milk and then tossed in a deep bowl with noodles, and curry broth. Sprinkled with fresh herbs, and garnished with a handful of crispy fried egg noodles, taste heaven in Chiang Mai. Don’t hesitate to order a second bowl. Chef would appreciate it and ordering a second bowl is common, nobody is going to raise an eyebrow. Eat the dish as it comes. Do not customize as per taste, that way the local flavor would be lost. Remember to compliment the chef by saying “aroy mak” (“very delicious”). 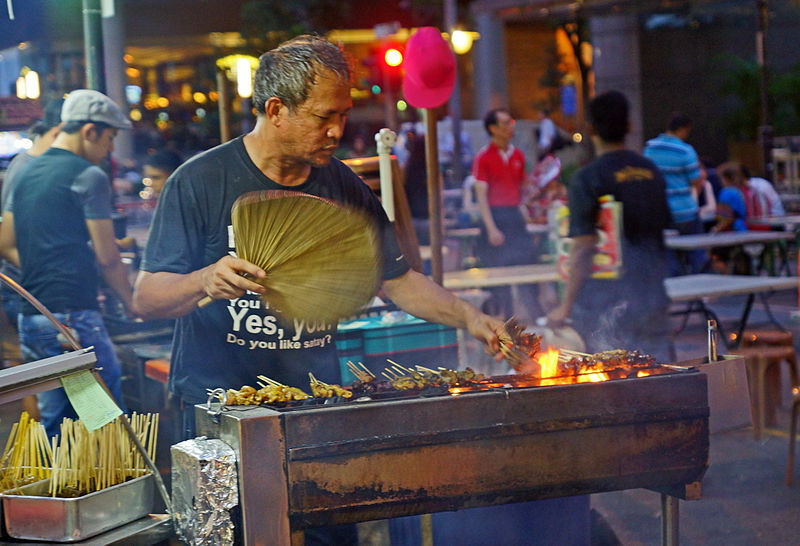 Chiang Mai is not a place for fine dining (save fine dining to Paris & Japan), it’s a destination where you should go on street food marathons. Plan your visit now to this Thai gem. Why Ljubljana Castle Deserves A Visit?